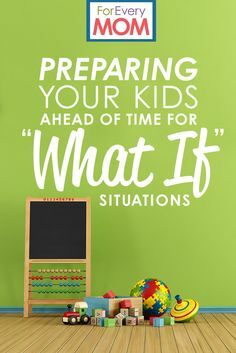 Playdates & Sleepovers: Preparing Your Kids for Those "What If" Situations Without Being the "Crazy Mom"
I’ve told my kids that I am not sure when I will get them their own phone. There is no exact date or age I am ready to commit to at this moment because, honestly, those small pieces of plastic scare the crap out of me. If my kids sometimes can’t remember to take a shower, I am sure as heck not ready to trust them with a phone. But it’s not just electronics. My 8-year-old wanted to buy a shirt from Justice that I didn’t think was appropriate, despite her assurance that another girl in her class had the same one. Then I said no to shoes with heels. And then I said no to watching the movie Pitch Perfect, which apparently was a discussion at the lunch table (I personally loved it, but I wasn’t in the mood to explain that shower scene). I found middle ground by letting them watch the music portions on You Tube. It used to be so much easier. No, you can’t bring Lunchables to school because I’d prefer if you had something else. No, you can’t stay up till midnight like your friend because our rules are different. No, you can’t watch Calliou because he makes mommy want to put pins in her eyes. Easy decisions, easy parenting. But it’s so much harder now. Now there are sleep overs at parents’ houses I am still just getting to know. Now they have friends with unfettered access to technology. Now I am having serious discussions based on other people’s parenting styles, discussions that are important and serious and could be life-saving. And I started thinking, if raising kids takes a village, why do I feel like I am on an island? I never thought of myself as a strict, helicopter-type parent, but I am a “what-if” parent. 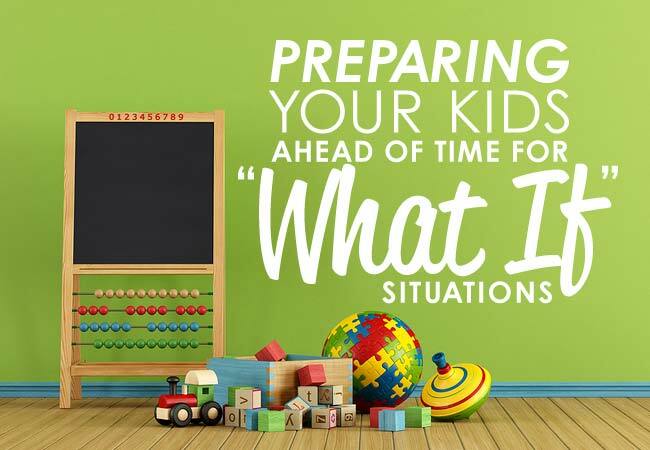 Every time I let my child do something new, I try to run down the “what-ifs.” What if I let them go to a house that has a gun … would they know what to do? What if a stranger tried to contact their friend online, would they know what to do? What if, God forbid, another mom took them to Justice without me (can you tell how I feel about that store?)? As much as we try, chances are your kids will not always be friends with parents who have the same philosophies as yours. The way I see it, I have three choices: 1) lock my kids away in my house and never let them go anywhere (most appealing, but obviously not the most realistic); 2) throw caution to the wind and hope for the best (never going to happen); or 3) ensure other parents are aware of my expectations when my kids are in their possession (by far the least appealing, but obviously the one I have to choose). Recently a friend told me about a sleepover her 11-year-old daughter went to last year. Her impression of the family was great, but because both parents work outside the home and have two other children, she did not yet have an opportunity to get to know them well. She was extremely surprised (and relieved) when the mom sent a quick email letting the parents know what movie she was going to play, that there were no guns in her home, and that her teenage son would be sleeping at a friend’s house (something my friend hadn’t even thought of yet!). Now that’s a parent I can get on board with! 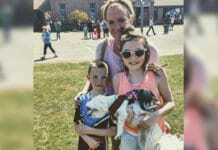 I really believe that most parents have my kids’ best interests at heart, and I’m not so naive to think that one exposure to a violent video game or risqué movie is going to scar them for life, but getting a vibe for who your children are spending time with outside of the home is important. But sometimes parents view questions about their parenting style or private life as intrusive and a nuisance. And that’s when you have to make the tough decisions—do you stay on your island, your principles, your instincts—or do you roll the dice? I know that as my kids get older and more independent, it’s just going to get harder, so I’m trying to put some rules together now so there’s no lip-service later. Studies have shown that having consistent and clear family rules early on can minimize the risks they’ll take when they’re teens—a time when your opportunities for meeting their friends and their friends’ parents are greatly reduced. + No playdates, sleepovers or outings until we meet the parents. Period. I had this discussion with my kids recently. I’m all for them going to other people’s house, but the rule is I have to meet the parents first. I figure if I start this now, they will be prepared when I still do it in a few years (whether I embarrass them or not!). + Create a code. A friend of mine told me that her daughter and her had a code phrase—I have a really bad headache—that she could use if she was uncomfortable at someone’s house. If the daughter called and used the code, mom or dad would pick her up, no questions asked. Brilliant. + Talk about consequences. I’m not going to punish my kid for playing video games all day or watching a movie she “probably” knew she shouldn’t have; but there are certain family rules that must be adhered to regardless of where my kids are at the time. If they are caught doing something against the rules—even if it’s allowed at someone else’s house—there will be consequences. + Discuss the issues that scare the heck out of you. I have spoken to my kids about gun safety every year since their first alone play date at age five. I recently broached the subject of alcohol and prescription medication after reading about two 10-year old boys who drank cough medicine to get drunk—at the advice of an older brother. My kids are on the younger side of the maturity scale, but I still want them to be aware just in case they are exposed. + Arm them with answers. So much of kids’ stupid behavior is merely because they don’t know what to do when they get blindsided. While I would love my kids to stand up for themselves, right now I’m more concerned with ensuring they keep themselves out of sticky situations. I told my kids if they are ever in a situation where they are uncomfortable, they should blame me and fear of my wrath if they get caught. I remember how important it was to feel like you fit in, but I also remember my friends knowing that if I missed my curfew or got caught being somewhere I wasn’t supposed to be, my mom would lay down the hammer. It probably got me—and my besties—out of saying yes to some really stupid things. What rules do you have for your kids when they are outside the home? Previous articleFeeling Drained After Long Mom Days? You’re Not the Energizer Bunny, Mama. Here’s What to Do When You’re Running on Empty.